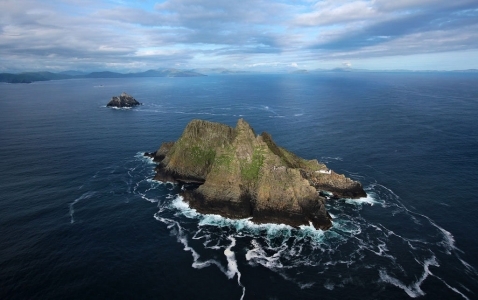 One of the most mysterious and enchanting of our local attractions is the Skellig Rocks. These floating pyramids of sandstone have been home to some of the earliest monastic settlements in Ireland as well as providing sanctuary to fantastic numbers of birdlife in the area. A visit is a must and boat trips to the rock are available every Summer from Mid-May to end of September. The nearby Skelligs Experience heritage centre in Valentia brings the sights and sounds of Skelligs to life. Skelligs is a magical place and it would be a crime to come to Kerry and not experience it. Click here for details of our unique Skelligs Package. You can take a trip to Skelligs to view these magnificent natural monuments up close and personal. Skelligs Trips generally run from Mid May to late September depending on the weather. If you are planning to stay at The Moorings, please let us know when you reserve your accommodation and we would be happy to book the trip for you. But after climbing up and down 600 steps most people build up quite an appetite – groups of ravenous sea-farers invade the bar and restaurant for a hearty Irish meal as soon as the boats arrive in. 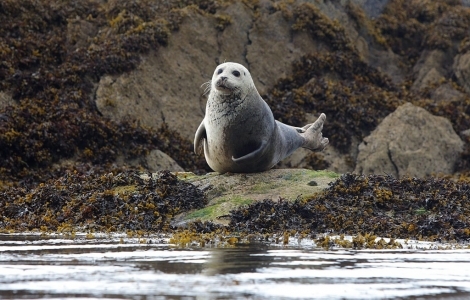 You can read more about what you need to know in advance of your trip in our Skellig Islands – Frequently Asked Questions (FAQ) page. Mentions of these two majestic outposts are scattered throughout ancient folklore and early Christian history alike. The earliest reference found so far dates back to around 1400 BC! A poem tells the tale of how the Tuatha De Danann caused the invader, Milesius, to shipwreck in the area. A later reference, circa 200 AD, tells of Daire Domhain – King of the World – resting there before an epic year and a day battle against Fionn Mac Cool and the Fianna. From this point on, the history of Skellig is very much a Christian one. The amazingly well-preserved monastic settlements still intact on Skellig Michael, date back to as early as the 6th Century. Small Skellig, as the second island is known, is the second largest gannet colony in the world. Other species such as cormorant, and varieties of gull also inhabit the island. Skellig Michael itself is home to a wide variety of bird life including the iconic puffin who is strongly associated with the rocks. 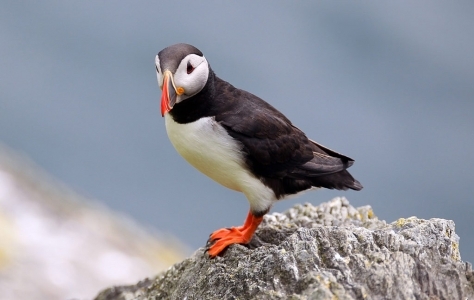 Most recent estimates put the puffin population at around 4,000 and, if you want to see them, it’s best to come as early in the season as you can as they migrate off the island by early June. Your other option is to visit the nearby Skelligs Experience heritage centre. The centre is open from April until November and provides a comprehensive overview of all aspects of the Skelligs. You can buy Skelligs memorabilia at the gift shop or watch the specially produced Skelligs video. For those who are interested in learning more about the Skellig, we recommend Des Lavelle’s ‘The Skellig Story’ which is a wonderful guide to the history, folklore and wildlife of the islands written by a man who has spent more time studying the Skelligs than any other. For a deeper investigation of the historical and religious context that inspired the monks, as well as an evocative and factually accurate imagining of their day to day life, Geoffrey Moorehouse’s Sun Dancing: Life in a medieval Irish monastery and how Celtic spirituality influenced the world is very illuminating. We can also highly recommend Skelligs Chocolates who produce exceedingly good chocolate in their factory in St. Finian’s Bay, at the other side of the mountain from Portmagee. If you want to experience something truly out of the ordinary, something that wakes you up to another world and to yourself, visit Skelligs. Simply, an unforgettable experience. "Magic that takes you out, far out, of this time and this world." George Bernard Shaw, speaking of the Skelligs when he visited in 1910.